Who says the Christmas tree has to be dark when the Christmas lights go off? 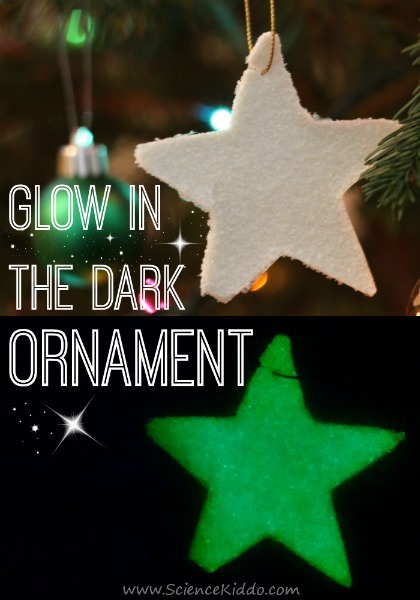 How about decorating the tree this year with these super-easy-to-make glow in the dark ornaments? In the light they are sparkly white, in the dark they continue to shimmer and glow. 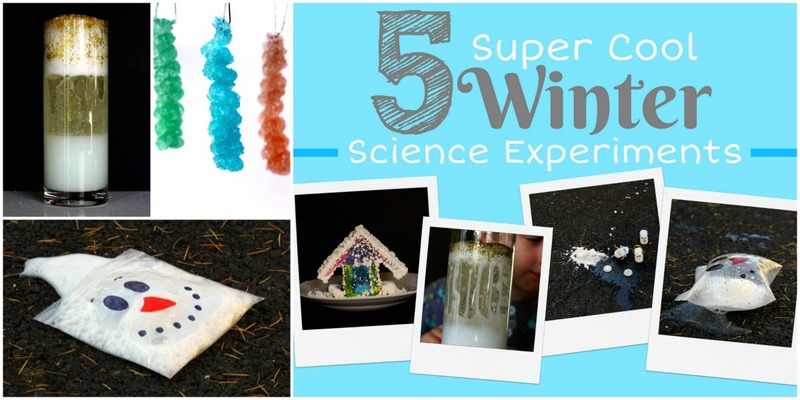 This is such a fun winter science experiment in addition to being a great Christmas craft the whole family can enjoy. Clear Glue – Make slime or glow in the dark LEGO minifigures with the leftovers! 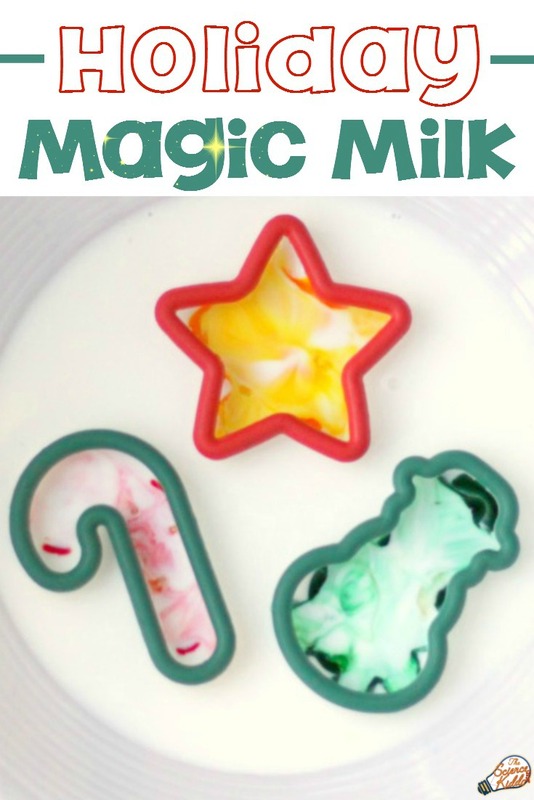 Festive Cookie Cutters – Perfect for making Christmas window gel clings and borax crystal ornaments! Mix the glue and the glow in the dark glitter. 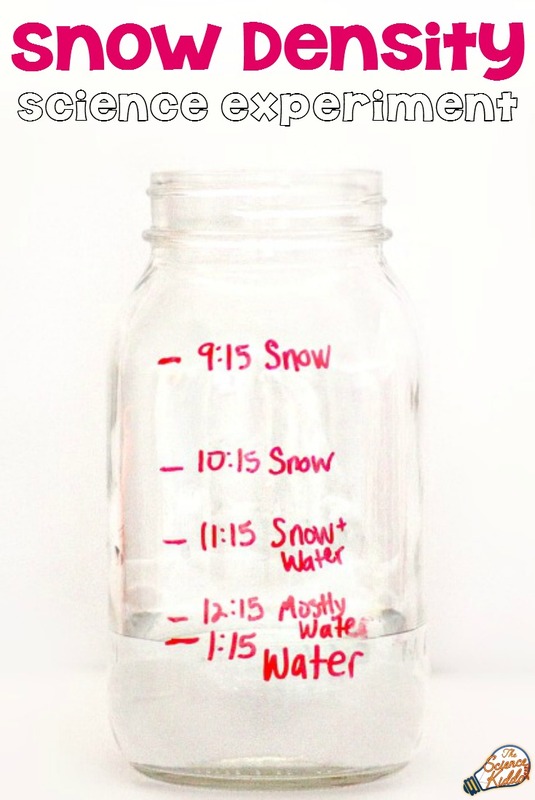 I did this by using a funnel to pour some glitter into our half-full bottle of glue, closing the lid, and shaking. It thickened up quite a bit and became clumpy so I added a tiny bit of water and shook until the glitter glue was runny enough to pour from the bottle. Add as much or as little glitter as you want, but remember that the more you add the more your glow in the dark ornaments will glow! 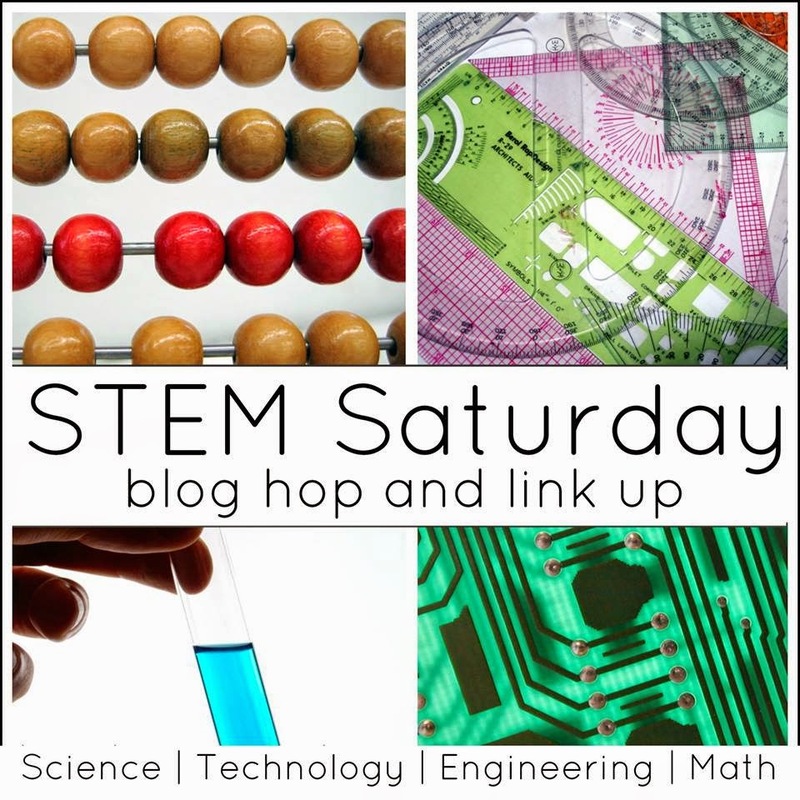 Place a plastic page protector on a baking sheet. Put the cookie cutter shapes on top of the plastic. 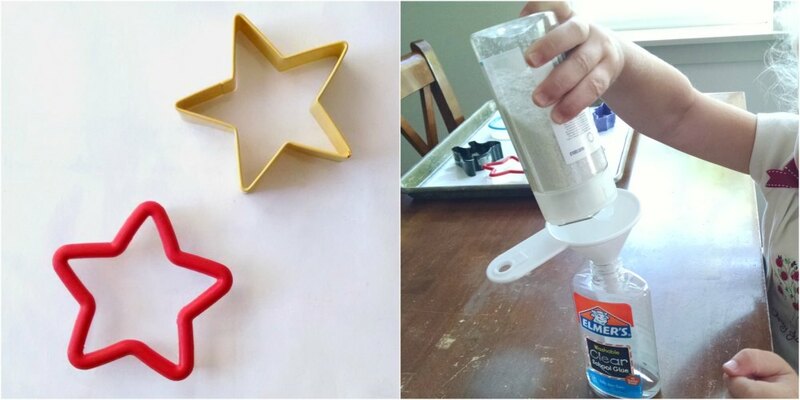 While holding the cookie cutter mold still, pour in the glitter glue!.Make sure the entire shape is coated in a pretty thick layer. Set the baking sheet in a place where it won’t be disturbed. 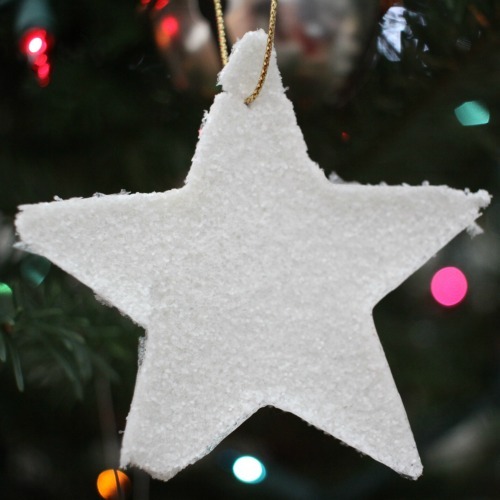 Check to see if your glow in the dark ornaments are fully dry after 3-4 days. Once they are dry, simply peel them off the plastic page protector and pop them out of the cookie cutter mold! 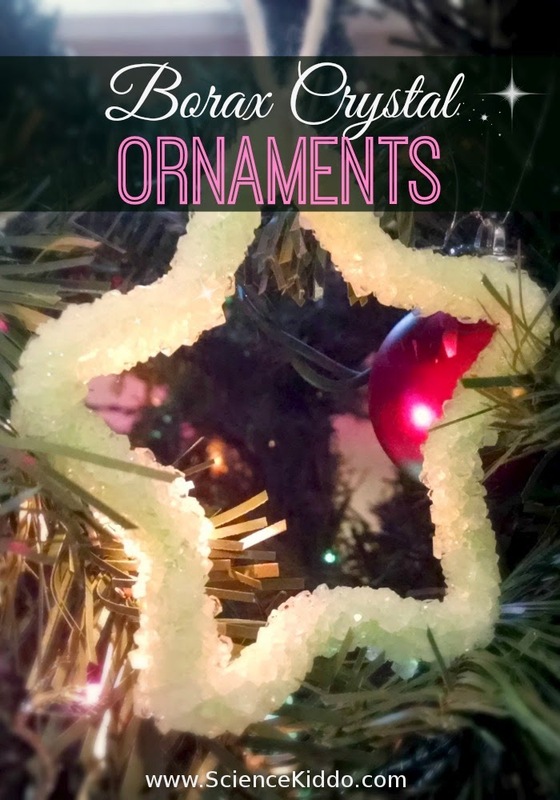 Use a pencil to make a small hole in your glow in the dark ornaments. Thread with festive string or ribbon and hang them proudly on the tree! We love all things that glow in the dark! This year alone we have made glow in the dark LEGO minifigures and glow in the dark window gel clings. It’s magical to turn off the lights and still be able to see a glowing shape! Everything that glows in the dark contains phosphors, or chemicals that radiate visible light after being “charged up”. House lights energize the phosphors in glow in the dark glitter. When those lights go off the phosphors emit energy they have stored up in the form of faint green glowing light. Most of the time the effect only lasts a few minutes, but it is easy enough to charge them up again! Another lovely idea for glow in the dark ornaments is The Swell Designer’s fluorescent glass ball ornaments. I love her idea to make a tree full of these lit up with blacklights instead of regular Christmas lights!